This natural and organic shampoo is an eco-friendly, plastic free alternative to conventional shampoo. 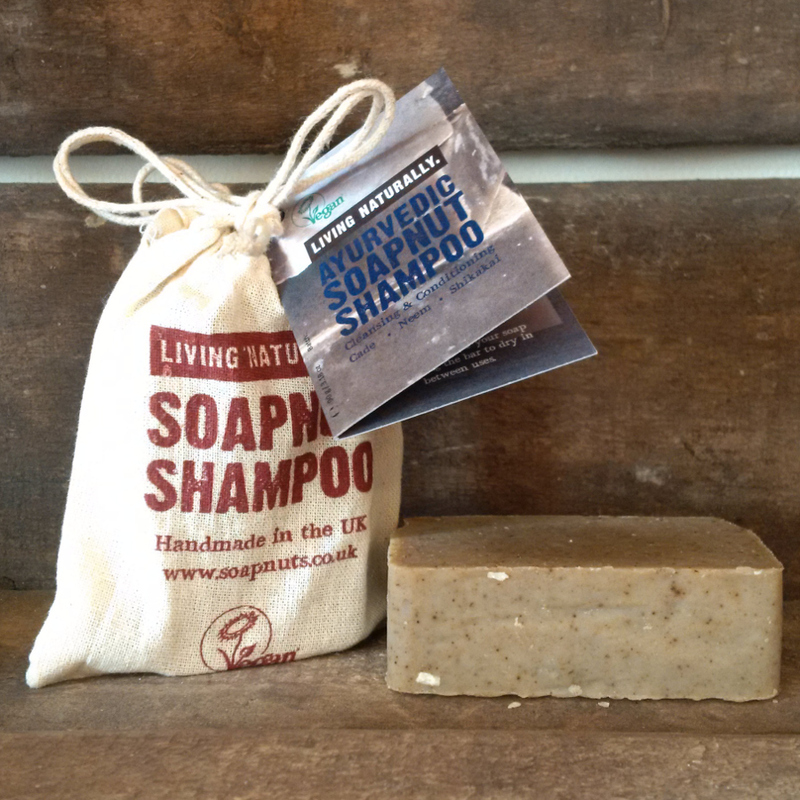 Handmade in the UK with organic ingredients, this solid shampoo bar uses an ayurvedic blend of soapnuts, amla powder, shikakai, neem and cade oil to nourish, cleanse and soothe your hair. The vegan shampoo bar is suitable for all hair and skin types and great for combination, oily, dandruff, acne-prone, flaky or damaged hair, skin and scalp. Organic wildcrafted soapnuts have skin and hair softening properties, along with a mild anti-bacterial and anti-microbial function, keeping your skin and scalp free from bacteria. Amla provides added strength to hair roots, adds shine, encourages hair growth and addresses premature greying. It is also a rich source of essential fatty acids to keep the hair follicles strong. Shikakai is rich in vitamins essential for healthy and rapid hair growth. It provides hair follicles with the necessary micronutrients to help hair grow fast and healthy. With low pH levels, shikakai won’t strip your hair of natural oils and works as a detangler. Neem is known for its effectiveness in fighting diseases, with natural anti-bacterial, anti-fungal and anti-viral properties. It promotes shiny, healthy hair, combats dryness of the scalp and fights infections and dandruff. Cade oil works to soothe skin and scalp problems like psoriasis, dandruff and eczema because of its anti-fungal and anti-bacterial properties. 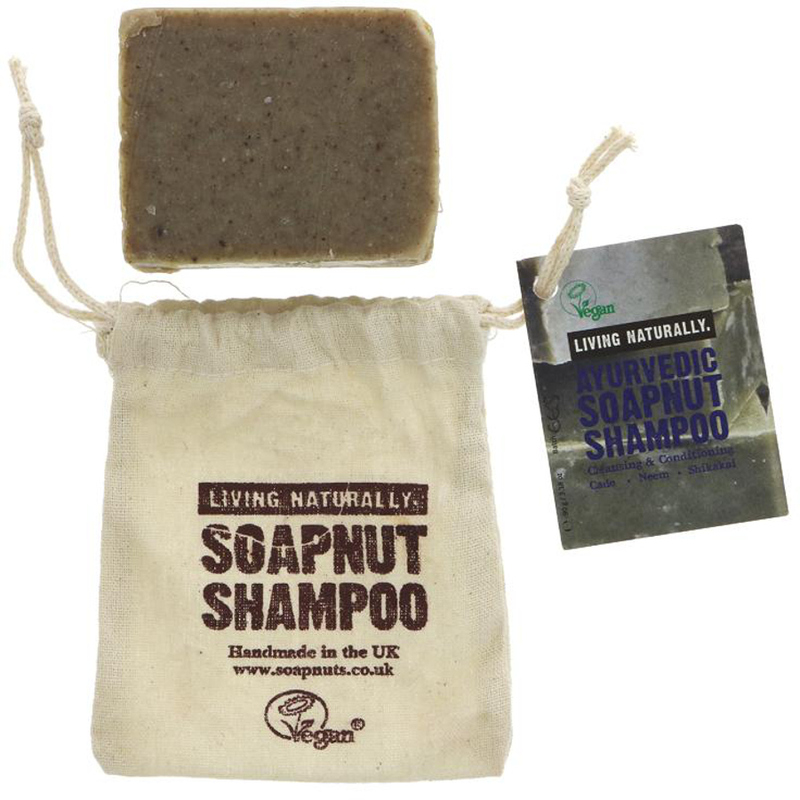 There are currently no questions to display about Living Naturally Ayurvedic Soapnut Shampoo Bar - 90g.